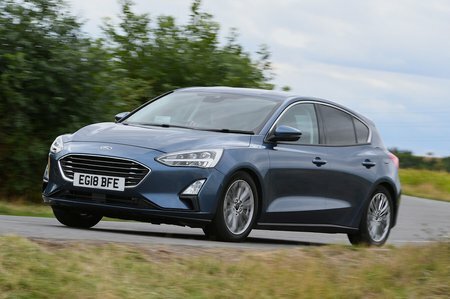 Ford Focus 1.5 EcoBlue 120 Titanium X 5dr Auto 2019 Review | What Car? What Car? will save you at least £2,084, but our approved dealers could save you even more. Adds 17in alloy wheels, privacy glass, part-leather seat trim and six-way electric driver’s seat adjustment to Titanium. Although we’ve not sampled all the diesels, we've tried this 118bhp version, which is likely to remain the sweet spot. It offers a good spread of shove once you’ve got past its momentary low-end lag and is relatively quiet and smooth once it's up to speed. At idle and around town it's a bit grumbly, though.